Organic lube is here – but we’ve found that many people don’t understand exactly what organic lube is, or why they should (or shouldn’t!) be using it. These days you can’t walk down a single grocery aisle without seeing products touting “organic” or “all-natural” ingredients at every turn, on every shelf, from hand-lotions to salad-dressing. From whole food diets to hot yoga it seems like almost everyone is making healthier choices for a longer, fuller life. In 2017, “natural” personal care and beauty products generated an incredible $1.5 billion in domestic sales – and that trend is likely to continue. 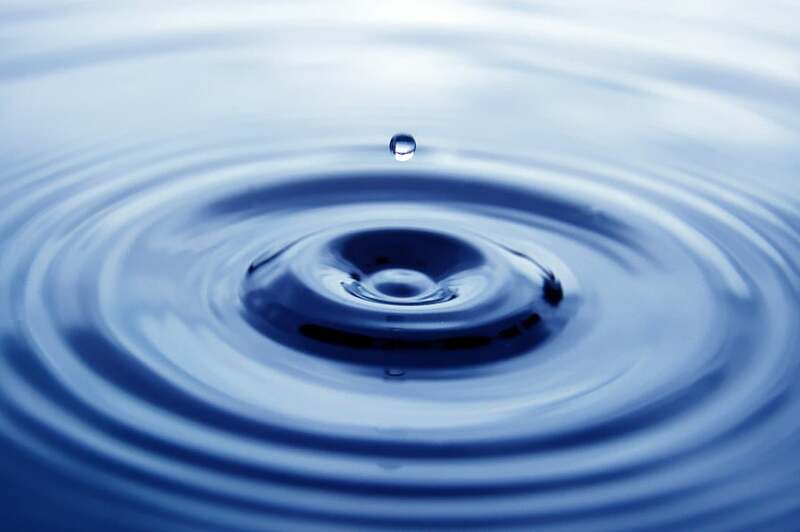 Grand View Research predicts that the global organic personal care business will reach $25 billion by 2025 – so people really care about getting their organic fix. It is understandable then that today’s consumer is concerned about what they are putting in and on their bodies, especially when there is a lot of misinformation out there about what is and isn’t harmful. Here we will try to provide some information about organic lube that might help. Organic lubricants are formulated to provide lasting lubrication without including botanicals grown with pesticides or adding unnatural chemicals. While you might be tempted to turn to your medicine cabinet or food pantry in search of "more natural” lubricant substitutes, like body lotion or petroleum jelly, don’t make that mistake. Doctors say it’s important to avoid anything that could interfere with vaginal flora. So, what’s a lady or fella to do? The good news is organic lubes can deliver a smooth, slick feel without exposing your sensitive bits to unwanted chemical additives. When it comes to finding the best natural lube for you, it’s important to keep a few things in mind. First, is an organic certification important to you? What are the different types? Do you want an organic water-based lube? Or do you prefer an oil-based lube? Here’s a quick breakdown at what these various terms mean, and which kinds of lube fit the bill. Only products that have met the certification requirements of the U.S. Department of Agriculture and have been certified by a third party, called an organic certifier, can use the “USDA Organic” symbol on their label. Many products claim to be organic but can still lack the proper certification. The USDA Organic certification program, also known as the “National Organic Program” (NOP) was originally designed to certify organic foods. With the increased popularity of organic products, the NOP has expanded to non-food categories such as cosmetics, as this is the most recognized organic certification in retail stores. To earn the USDA Organic Certification, products can’t contain synthetic substances. Additionally, organic certifiers conduct annual inspections to ensure organic manufacturers source organic ingredients and properly label their products. 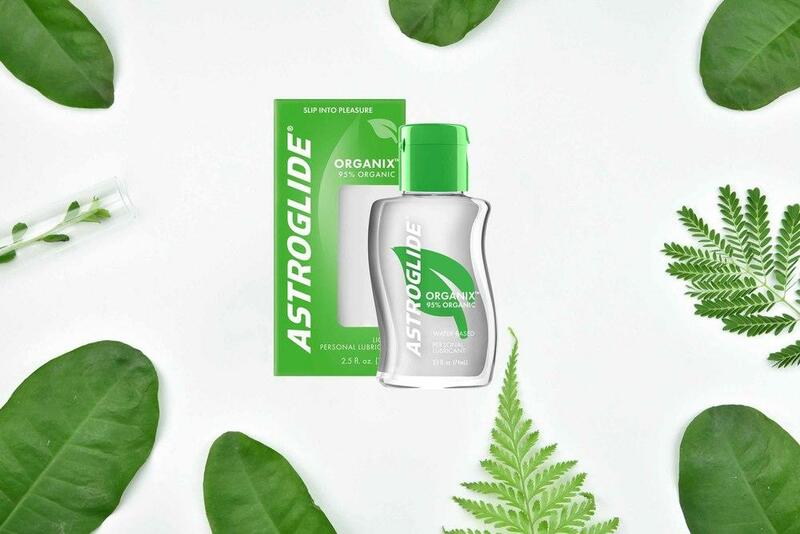 If you’d like a USDA certified organic lube made from plant-based ingredients, ASTROGLIDE O is a great fit. It has a unique blend of ultra-hydrating oils that can be used as a personal lubricant or massage oil. Just a head’s up though; because this is an oil-based lube, it is not safe to use with condoms. NSF/ANSI 305 is another type of certification, specifically designed for Personal Care Products made with organic ingredients. To earn the NSF/ANSI 305 certification, these products must contain at least 70% organic ingredients. For a water-based NSF/ANSI 305 lubricant, our new ASTROGLIDE Organix™ Liquid enhances intimate play and allows for easy clean-up. Silky smooth and long-lasting, it contains 95% organic ingredients and is made without testing the lubricant on animals, for total mind and body comfort. Want to see more types of lube? Check out our Lube Ed page, where you can become a lube expert and order a free sample or download a coupon for whatever tickles your fancy. When you’re in the thick of things, you don’t want to have to call a timeout. Some organic lubes are great right out of the gate but become sticky and ineffective as you go along. To avoid interruptions, pick an organic lube that’s long-lasting. Both ASTROGLIDE O and ASTROGLIDE Organix™ Liquid are formulated to stay slick and smooth for the long haul. Maybe we’re biased, but we think lube is pretty great at what it does. Even better, did you know that oil-based lube can pull double duty as a massage oil? ASTROGLIDE O Oil is a super silky, plant-based organic lube that’s perfect for giving a seductive massage. ASTROGLIDE O Oil is also infused with organic sweet almond, jojoba, coconut, sunflower, and argan oils and scented with luxurious ylang ylang essential oil. It smells good enough to eat, but we recommend saving your appetite for...well, other things. And when it’s time to get down to business, you don’t have to worry about swapping it out for a different type of lubricant. Whether you’re using it upstairs or down, it’s slick and long-lasting. Worried about your massage skills? Grab your organic lube and learn how to give the world's sexiest massage! Parabens are one of the most common ingredients in beauty and health products. Parabens are preservatives, used commonly in cosmetics and personal care products. According to New York City allergist and immunologist Dr. Jennifer Collins, parabens are present in nearly 85 percent of all personal care products. Are parabens safe lube ingredients? While there is nothing inherently bad about parabens, some people are allergic to parabens and experience an itchy, sometimes painful rash called dermatitis when exposed. And while a paraben allergy is unlikely to cause severe health problems, it can most definitely make life uncomfortable — especially if symptoms flare up in your no-fly zone. Considering how many products contain these common lube ingredients, it can be difficult to find personal care products without them in it. As Dr. Collins points out, studies show that parabens are responsible for 1.4 percent of all contact dermatitis reactions. Dr. Collins adds that the only way to avoid a flare up is to avoid products that contain parabens. Fortunately, it’s possible to enjoy lube without worrying about paraben allergies. ASTROGLIDE Organix™ Liquid and ASTROGLIDE Natural Feel Liquid are made with purified water and without parabens, fragrances, flavors or hormones. Whether you’re in the mood for organic lube that doubles as a massage oil, or you’d like a water-based lube that is natural or organic, ASTROGLIDE has you covered. Go to our product page and get a free sample or a coupon for the organic lube you’d like to try today.